Wild Campers offers high quality Volkswagen campervan rental with pick up and drop off locations across Scotland. We have vans in Glasgow, Edinburgh, Oban and on The Isle of Mull. We also offer pick up and drop off from both Glasgow and Edinburgh Airports. If you are thinking about a West Coast island hopping adventure or The North Coast 500 then you’ve found the perfect starting point. Our conversion facilities are in Glasgow and on The Isle of Mull. We offer a unique approach to camper van conversion. Unlike many convertors we offer a full menu for you to choose from – choose how you want your van and choose your budget. Our interiors are both contemporary and unique – we utilise beautiful Scottish hardwoods like elm and oak. From 2017 our main conversion workshop will be on the Ardtun peninsula on The Isle of Mull – we’ll collect your van for free from anywhere in Scotland and drop it back to you as a completed camper van. We’ll also pick up and drop from the rest of the UK for an agreed fee. With Wild Campers we hope to enable you to experience the very best of Scotland and to create your own Wild Journeys. Neil has been building camper vans since 2004. Having built one in New Zealand and one in Australia he’s now back and settled in his native Scotland. 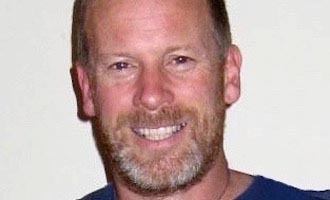 Neil’s early background was in outdoor education and change management. He has worked for Outward Bound in several countries including New Zealand and Australia. Since 2013 he’s been running Wild Campers full time. He also directs Wild Journeys which specialises in taking groups and individuals into Scotland’s wildest places. 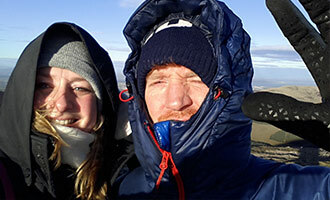 Wietske and Stuart have operated as Wild Campers Edinburgh since 2017. Coming from the Netherlands and Ireland Wietske and Stuart have lived in Scotland since 2012 and are happy to help you on planning the best routes for discovering the Highlands or surfing the Scottish coasts. Located in the heart of Edinburgh they are convenient if you want to combine a city trip with an authentic VW camper van adventure! Originally from Australia Ellie’s first camper adventure was travelling around Aus in a converted ambulance called ‘Nee Nor’. 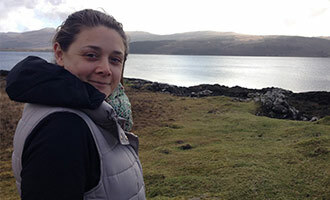 She moved to Glasgow in 2013 with her husband and two sons – they all enjoy exploring Scotland in Fergus when he’s not rented out.